A new development needing maximum exposure. 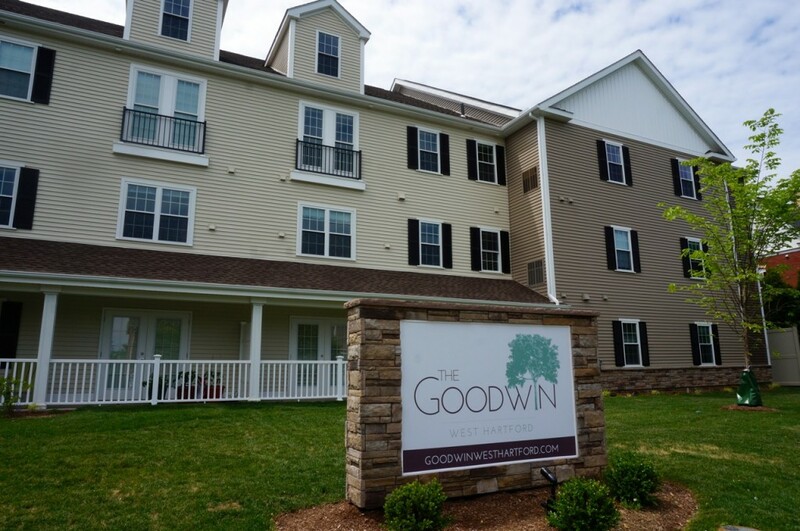 As part of a $29 million investment among nine different affordable housing initiatives across Connecticut, Trout Brook Realty Advisors was awarded $3.2 million to design and build The Goodwin. Unlike the low-income and elderly clientele the TBRA was used to serving, the brand-new sustainably appointed, technology-enabled property’s target market was young professionals, small families, and middle-aged people. They needed a whole new strategy. 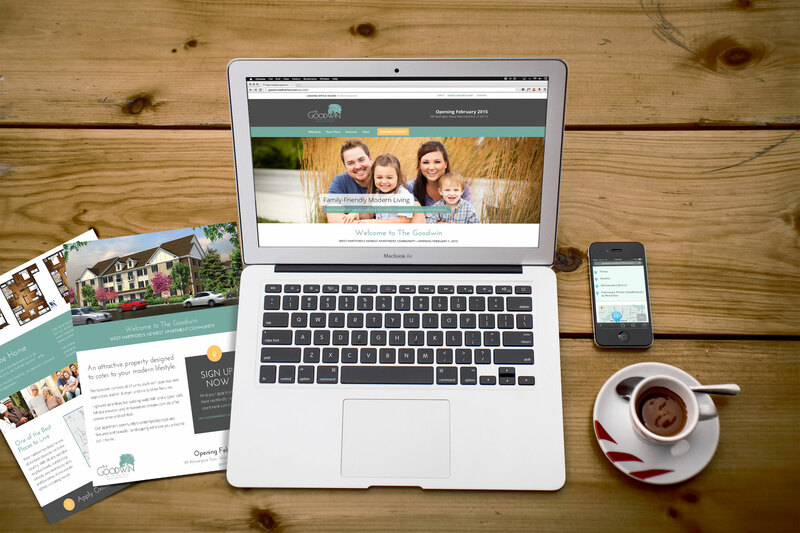 Trout Brook Realty Advisors chose us to develop brand identity for the new property, including logo design, print & display design, web design, and advertising. We began with brand consulting, from which we derived messaging, logo, and color scheme. 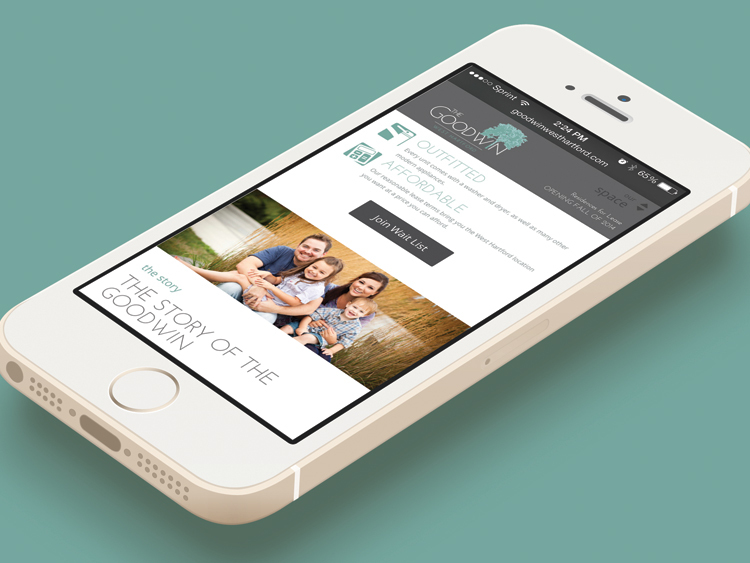 While the building was under development, to pique interest among the target audience and to gather signups to their wait list, we launched a one-page microsite. 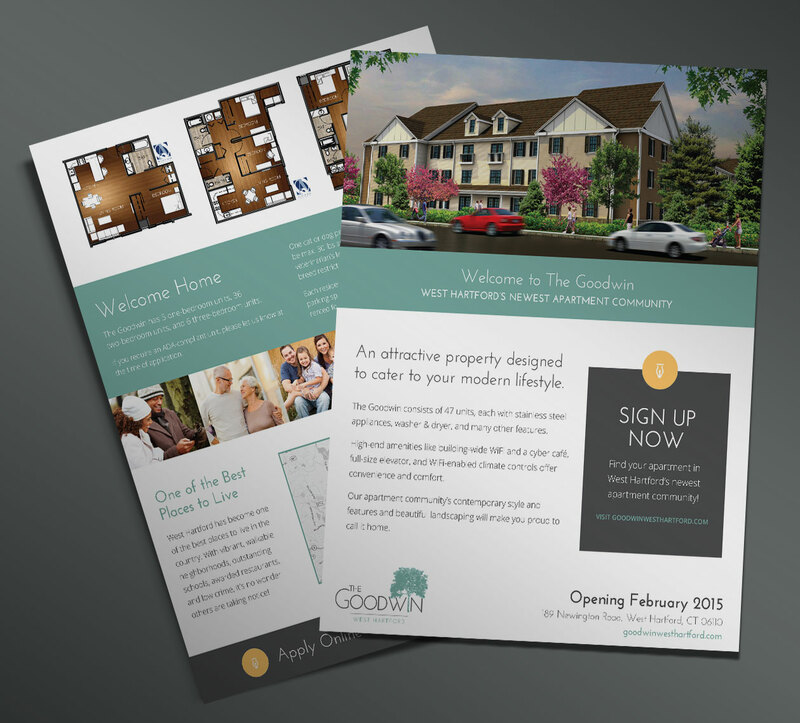 We developed the story of the name, neighborhood features list, and property features into approachable content, paired with eye-catching graphics and photos. 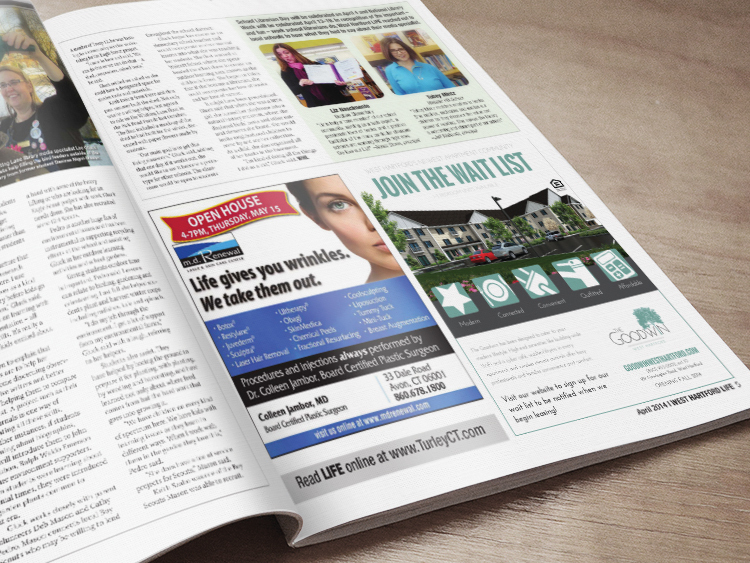 We then designed an ad for West Hartford Life magazine to promote joining the wait list, and submitted the location to Google+ and other map-based databases. 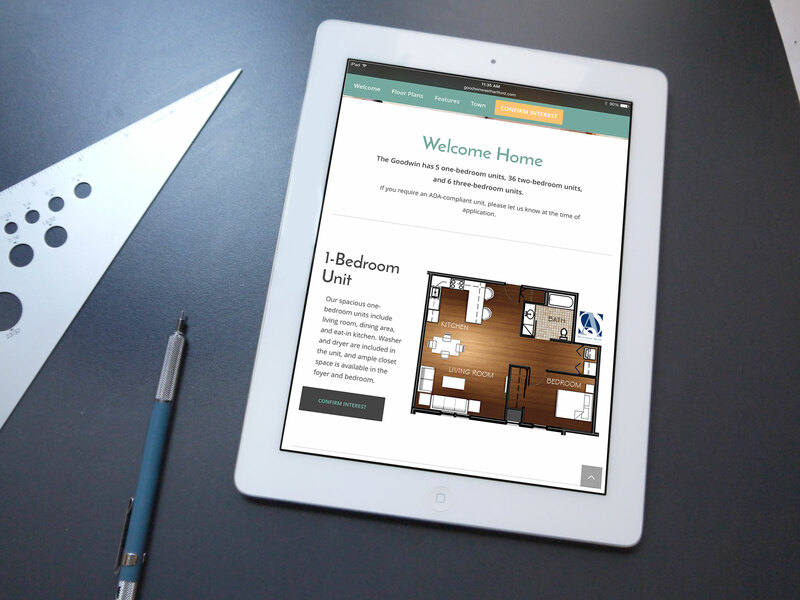 In preparation for construction completion, we expanded and redeveloped the microsite into a robust multi-page site. For posting online and distributing among interested applicants, we designed a branded informational flyer to serve as a drive-to-web piece. We also designed their main street-view signage.